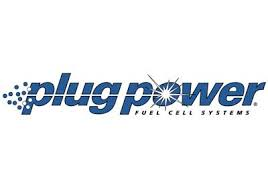 Plug Power Inc (NASDAQ:PLUG) said in its press release that the automotive manufacturing industry is among the latest sectors to admire and implement the usage of hydrogen cells. GenDrive is the latest topic of interest among automakers and it is silently but certainly growing its market share. Plug Power Inc (NASDAQ:PLUG) has helped some of the leading auto-manufacturing companies including Volkswagen AG (ADR) (OTCMKTS:VLKAY), Honda Motor Co Ltd (ADR) (NYSE:HMC), BMW, and Mercedes-Benz in their shift towards GenDrive. The automakers are increasing adapting GenDrive for their material distribution fleets leading to lower operation costs. Plug Power Inc (NASDAQ:PLUG) emphasized over the effectiveness of its overall GenKey solution in automotive assembly and manufacturing practices. The company mentioned that GenDrive cells could improve lift truck uptime in addition to their impressive performance against lead-acid batteries. Generally, an uplift unit requires lead-acid battery replacement in every shift, which requires up to 15 minutes against the time (2 minutes) required for refueling hydrogen cell. Plug Power Inc (NASDAQ:PLUG) is the industry leader in hydrogen fuel cells and its GenDrive fuel cells can easily fit into the majority of OEM handling equipments. GenDrive promotes high productivity with enhanced performance and lower operational costs. Some important benefits of GenDrive include higher productivity, zero emissions, transparent transition, lower operation costs, and less space requirements. Plug Power Inc (NASDAQ:PLUG) is exploring global expansion plans with its executive working with customers in Germany, UK, Mexico, and Spain for its GenDrive and GenKey solutions. Earlier, Toyota Motor Corp (ADR) (NYSE:TM) announced the launch of its first hydrogen fuel-cell car in the Japanese market next year. Toyota launched its hydrogen Fuel Cell Vehicle (FCV) sedan in June this year.